On Thursday 16th March, Manchester’s CIPD Branch held a fantastic event #SocialHRMcr at Lancashire County Cricket Club. Many HR professionals and other interested folk gathered together to discuss the use of social media in the workplace. An innovative combination of conference and unconference, it was great to not only listen to some of the leaders in the exciting world of social HR, but I also enjoyed the opportunity to share my love of social whilst participating in the lively discussions that followed. 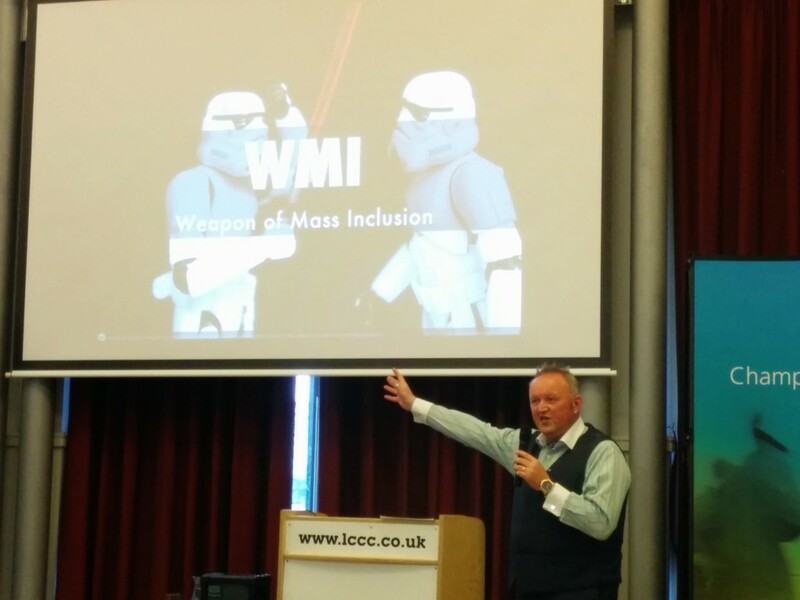 One of the key moments in the conference for me was @PerryTimms declaring Social Media as the “weapon of mass inclusion”. Recently I blogged over on my personal blog about my journey into the world of improvised comedy. Since writing that post, I’ve been thinking about all the reasons why I think learning through improv is great. Here are ten of those reasons. Anyone that knows anything about improv, will know that the fundamental principle is “Yes, and”. In practice, this means you have to listen and observe what has happened, accept it and build upon it.